of Waterloo, Iowa uses fluid bed air roasters to produce an exquisitely clean, flavorful and better cup of coffee. 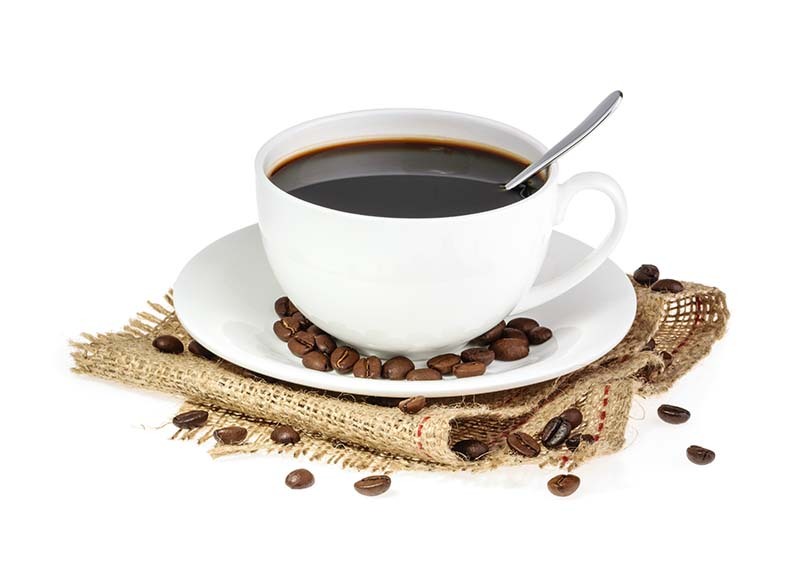 As compared with gas flame roasters, hot air roasters are much cleaner, removing any carcinogens produced during gas roasting, which can also contaminate the natural flavor of coffee. Coffee is naturally packed with flavor and antioxidants, and by hot air roasting we are giving our drinkers a tastier, more natural experience by simply doing something better. Click below to find out how we do it. 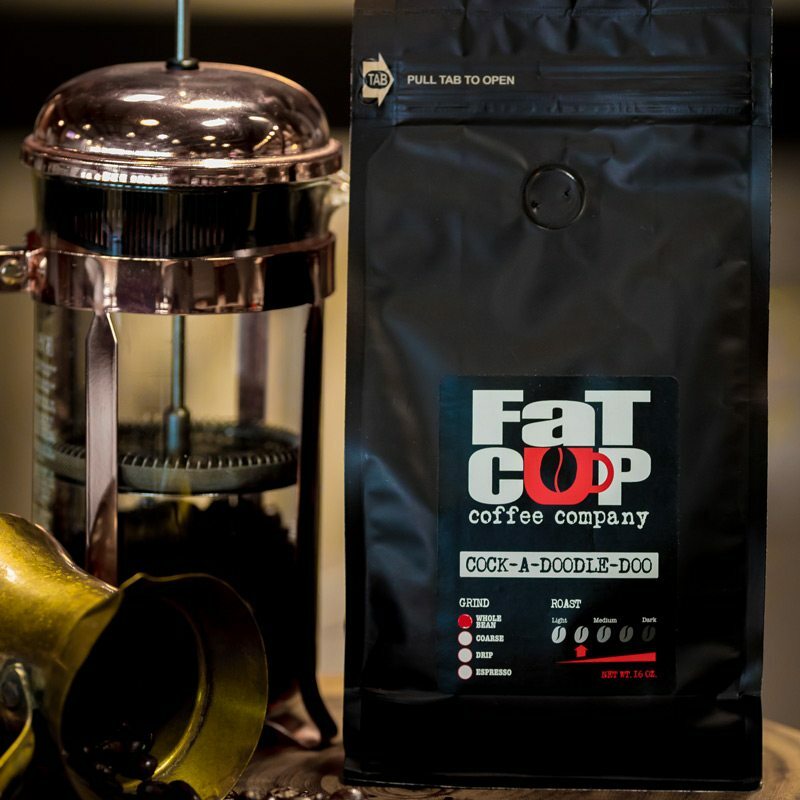 Located in northeast Iowa, Fat Cup Coffee is family-owned and -operated and is committed to delivering a complete artisan coffee experience, from bean selection to packaging. We begin with carefully selected, quality green beans from around the world and then hot air roast all of our batches, a unique process that eliminates contaminates and retains the natural and delicious parts of each coffee bean. The result is a coffee experience unlike any you’ve ever tasted. 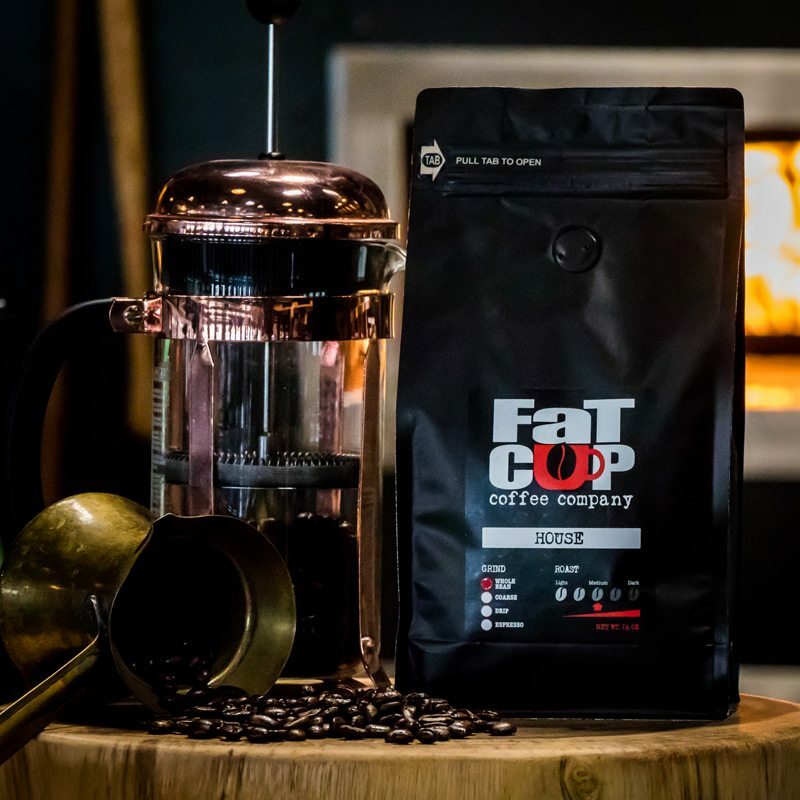 To find out more about what makes Fat Cup Coffee Company different, contact us today! 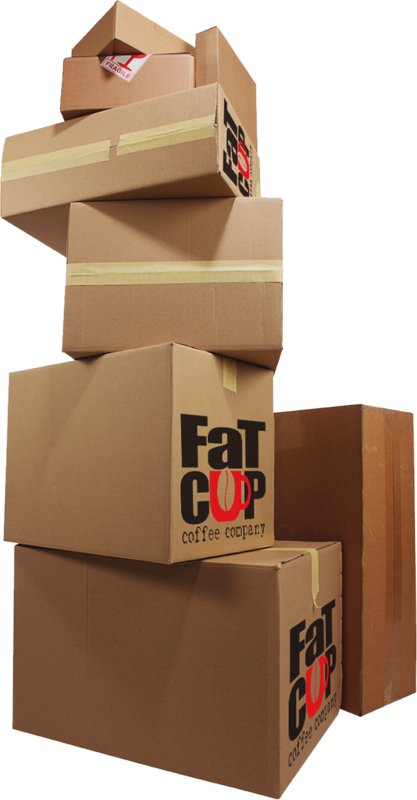 Fat Cup coffee is proudly sold throughout northeast Iowa by many local, independent coffee shops, bakeries, and cafés. These dealers support Fat Cup’s goal of serving coffee as it was intended—cleaner, more-natural, and full of flavor. 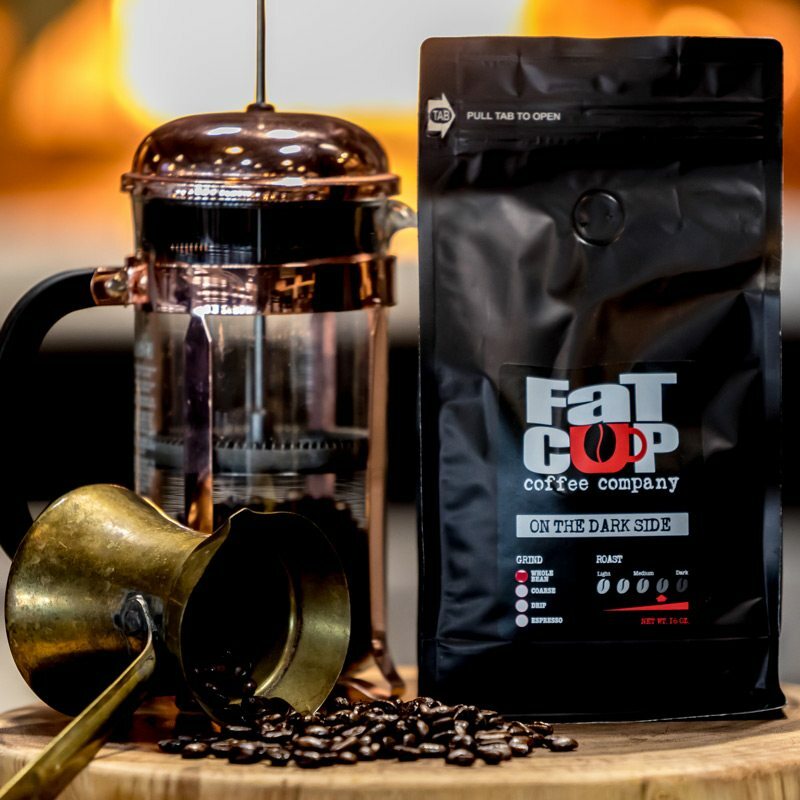 If you’re a store, a coffee shop, or other retail outlet, we invite you to click below to explore our Fat Cup dealer program! Existing dealers can also sign in below. Ready to experience the unique, clean, hot-air-roasted taste of Fat Cup Coffee in your community? Click here to find a dealer near you.